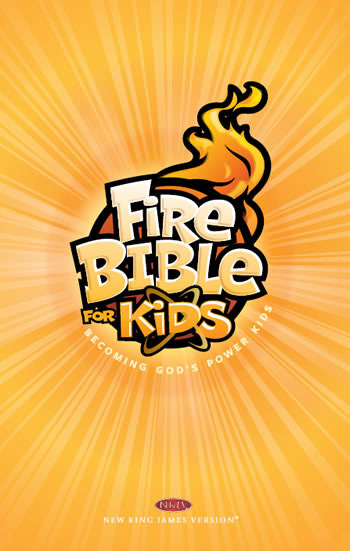 There is nothing like it… The first ever study Bible with an emphasis on the Holy Spirit written specifically for kids.. Each Book of the Fire Bible for Kids includes an introduction Section, Study Notes, and Engaging Graphics. This is the Bible for Children that you need for your kids and this Christ centered bible for children will increase your kids devotional life. The Bible comes with a Concordance, Glossary, Theme Finders®, Full Color Maps and Illustrations. This New King James Version will help today’s kids become tomorrow’s Church. Draws kids into the Word. Builds family values and combats secular ideals. Teaches how to apply biblical truths for daily living. Illustrated with beautifully multicolored pages. 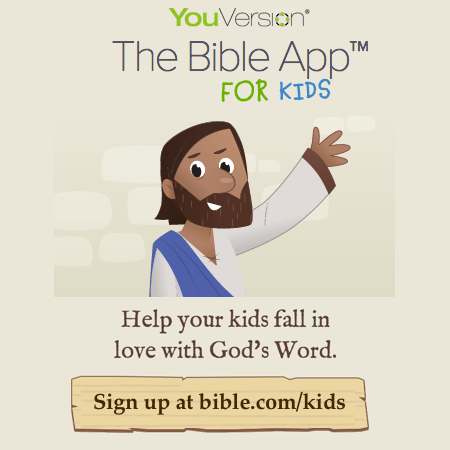 Help your kids fall in love with God’s Word with this free Bible app for children with reading plans from YouVersion. Ready for Adventure? Embark on a fun, exciting journey through God’s Word with the Adventure Bible — now in full color throughout! Along the way you’ll meet all types of people, see all sorts of places, and learn all kinds of things about the Bible. Most importantly you’ll grow closer in your relationship with God. Recommended by more Christian schools and churches than any other Bible for kids! This entry was posted in Discipling Children, Ministry Resources. Bookmark the permalink. Thanks Tamera,these are all great. Thanks for compiling this list for my kids to try at home!